I agreed, bring down HSBC then we can buy a fire sale price. I think you are the FT from PRC right ? Cory said: I think you are the FT from PRC right ? sgbuffett said: Iran is under trade sanctions imposed by UN security council. It is against the law to violate trade sanctions imposed by UN. Don't put such decades ago story to bluff people. During Obama time, he already settled with Iran to start trading with Iran. Only trump by himself tore down the agreement n even EU was against such unilateral breaking of agreement. Trump said 0 export of Iran oil, right? Finally, he himself agreed to waive 8 nations including China to trade with Iran. All these sanction by trump is illegal. That pinoy still didn't say why he had a president that befriend China. Tell your president to go back China lah. He should go back pinoy land. You lost it. Go back Philippines..your motherland. Go back..
lionkingch55 said: This time Huawei jialat. 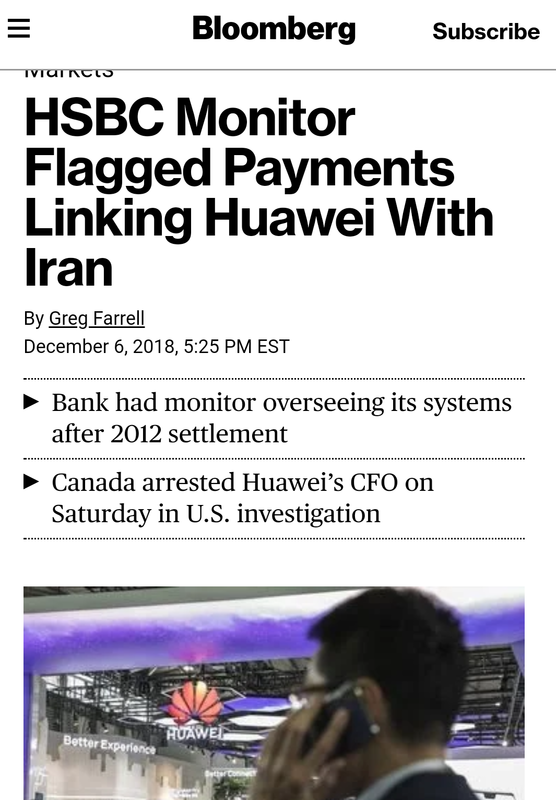 HSBC confirmed payments to Huawei from Iran. She sure Kenna jailed and U S will ban chips sale to Huawei. Haha, US can ban chip sale not only to huawei but to whole China. China already in the process of producing own chips. Huawei is using more superior Kirin 980. That's why huawei is now world no. 2. US can keep their chips in warehouse when China stops buying. Show evidence of China kowtowing. Current time: 21-4-2019, 7:07 PM Powered By MyBB, © 2002-2019 MyBB Group.